“One of the Yakima Valley’s most popular vintage fruit labels will be reproduced yet again, this time as a large mosaic mural in Tieton. 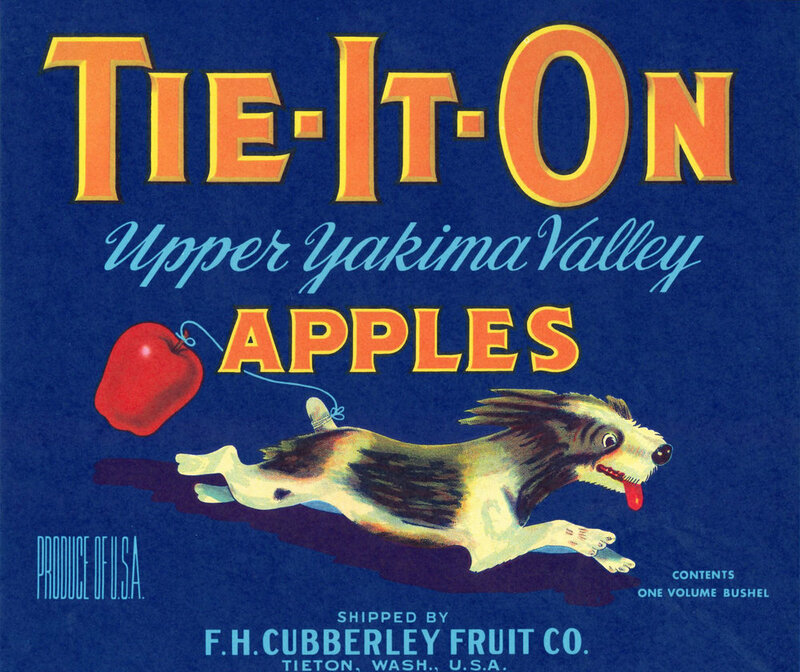 The Kickstarter campaign for the TIE-IT-ON terrier label reached its fundraising goal nearly 24 hours before it was scheduled to end Friday morning. The goal of the monthlong campaign was $39,500; the final tally was $41,233. Success means the label for the F.H. Cubberley Fruit Co. will become the fourth of seven permanent colored glass mosaic murals mounted in the center of town, all fabricated by Tieton Mosaic.